We are excited to receive the latest update from Google showing over 5 MILLION VIEWS for our Street View for Business clients!! (5,020,778 as of 3-26-19) As consumers get more and more tech savvy these tours will continue to raise awareness of your brand and help your business stand out from the crowd. 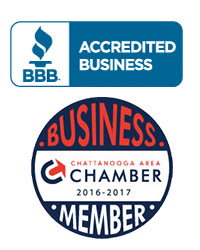 Whether you need stellar Chattanooga Web Design or just want to add to your already established brand… a Street View Tour is a fast, affordable way give your online presence a boost. No monthly fees – Just a one time charge for the photography. Click below and check out some of our superstar clients! Can your business be listed on Amazon Alexa? It can now! MyNooga Web Design is excited to offer Amazon Alexa with the MyNooga Powerlistings Package for your business. Alexa joins Apple, Bing, Yelp, Waze, Tom-Tom and all the other major directories to get your business noticed. Chattanooga website design With myNooga, you get more than a great website, we connect the online dots that bring you new customers. Like with your directory and citation listings… how does your look? Is it easy for customers to find you? It takes more than a great looking website to bring customers through your door. People have to find you. Make it easy for them by utilizing the free tools that Google offers. myNooga calibrates Google Maps, Search and Business to your new or existing web properties so people have a clear path to all the great products and services you offer. If your business does not have a website, your missing customers. The yellow pages are obsolete, and the way people find what they’re looking for is online. It is vitally important for your business to be easily found online. myNooga Chattanooga Website Design makes eye catching websites that are properly aligned with Google so more people searching for your products and services can find you locally. Even if your site was designed by another company, myNooga can bring your online marketing together and influence more people to think of your business first. So you have a website, but it’s not where you want it to be. It takes more than a great looking website to get in front of people. Your site has to be adjusted to target specific groups of people – and that’s what Search Engine Optimization is for. We offer three plans tailored to your specific needs. Google Street View Trusted is your first impression to customers. This is the official Google virtual tour using Google’s cutting edge Street View technology and placed directly on Google Search and Maps. This tour allows everyone to realistically walk through your business and experience what it’s really like to be there. 90% of customers say buying decisions are influenced by online reviews. That’s why we have partnered with Reputation Renew to offer an effortless solution that builds online trust and increased sales. One thing that sets us apart from other web development companies is that we don’t rely on stock photography to populate your website. We use real photos and video taken at your location to make your website completely unique. Video backgrounds, HD photography and our creative flair insures your image is tailored to your specific business and products. If your business is without a website, let myNooga Chattanooga website design help. The most important thing for your business is that people see you. If new customers can’t find you easily, then there’s another business doing the same thing that’s just a click away. Don’t lose that business, call myNooga and get a creative website design. And if you currently have a website that’s outdated and needs an SEO company, let myNooga revamp your image to a current, eye catching format that grabs attention and converts browses into shoppers!